When it comes to the Second Amendment, the Supreme Court moves with the all the dispatch of a giant tortoise; slow, plodding and deliberate. After all, it took the High Court 217 years from the time the Second Amendment was ratified in 1791 to finally figure out in 2008 that its guarantee of a “right to keep and bear arms” did actually apply; in that case, to a resident of the District of Columbia. The Court returned to the same question two years later to affirm this point clearly as against infringement by the government of any one of the 50 states. But in the decade since, it has reverted to its comfort zone and declined to tackle any of the myriad questions left hanging by these two narrow decisions. That silence finally may be broken, as the justices recently agreed to hear a challenge to one of New York’s many absurdly restrictive gun control laws. Before Second Amendment supporters break out the champagne, however, a few observations from Supreme Court history and procedure are in order. First, it must be kept in mind that only in the rarest of circumstances will the Court render a decision on other than the narrowest grounds possible. Thus, in its decisions in 2008 (Heller) and 2010 (McDonald), the five justices in the [bare] majority held that neither the District of Columbia government nor that of a state, could enforce laws that were so restrictive that an individual was prevented thereby from possessing a firearm in their home. The Court left for future cases all other aspects of how far the “right to keep and bear arms” extended beyond that narrow situation. Thus, virtually the entire panoply of questions about what restrictions on the exercise of the Amendment’s guaranteed right would be considered constitutionally “reasonable” remains judicially unanswered. Finally, as we know from the 2012 decision by the High Court upholding the individual insurance mandate provision at the heart of the Affordable Care Act, Supreme Court Justices do not always vote as one might expect, or as their prior decisions would suggest. The Obamacare vote made clear that Chief Justice Roberts falls into this category. The particular case the Supreme Court decided to consider is New York State Rifle & Pistol Association, Inc. v. City of New York. 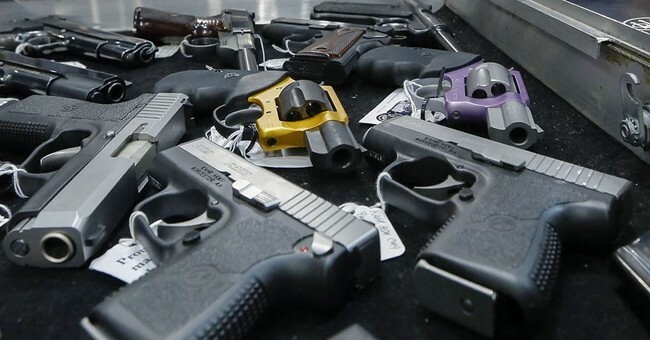 The law being challenged is one that is virtually unique in its restrictive provisions; prohibiting the transport of a firearm outside the home to any other location, even to a shooting range and even if the person possesses a State firearm ownership permit. Presumably – and this is a big presumption – the Court decided to take this New York case because there is a majority of Justices who would rule against the State. But even if this happens, the majority may find, or only have the votes to thus act, on the narrowest of grounds on which to strike down the law; thereby limiting its applicability in effect only to New York pistol permit holders who then could transport their guns to gun ranges. Such an opinion would be cause for little celebration elsewhere or in other circumstances; and it might then put us back in the situation to which the Court decides not to take another Second Amendment case for an extended period. On the other hand, if Roberts holds true to his professed constitutionalist roots, and if new Associate Justices Gorsuch and Kavanaugh boldly hold fast to principles reflected to decisions in which they participated while on lower court benches, and if we do not lose Justice Thomas (which would be a shock indeed) or Justice Alito (who authored the McDonald opinion), we might – just might -- squeeze out a 5-4 majority opinion that the right to possess a firearm in one’s home, as recognized finally in 2008, extends necessarily to possess that instrument outside the homeplace. Such a ruling would of course be welcome, but it is by no means the guaranteed result. And even if we turn out to be so lucky, it remains a legitimate question, why, with so many other firearms cases of broader applicability that have been presented to the Supreme Court, it has regularly refused to decide. In the end, perhaps, we should be happy with even small victories when it comes to so fundamental a right as protecting oneself with a firearm. Still, that remains a constitutionally unsatisfying situation.